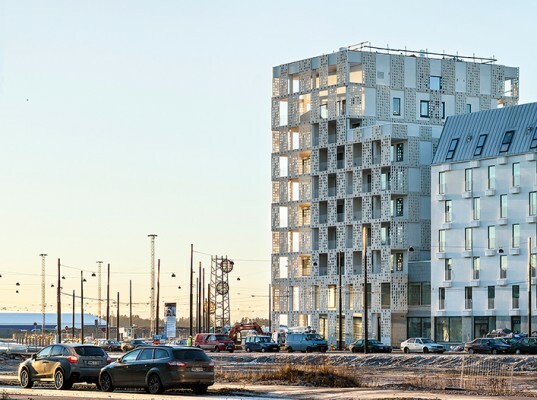 This social housing project was built as one of the first blocks in the new Jätkäsaari housing area in Helsinki. The envelope of the block is built of white pre-fabricated concrete elements. 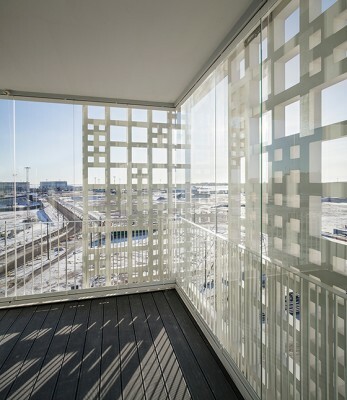 Semi-transparent balcony walls create varying degrees of exposure and privacy. 2,060 m² of fibreC 3D freeform elements were installed as façade, sunshading and balcony elements. The panels are fixed at either six or four points to the substructure. Bollinger + Grohmann were responsible for the structural design of the façade.